Last night most of the Re-enactment Committee were present at Kurrajong Parade to take part in planting two new Kurrajongs trees. 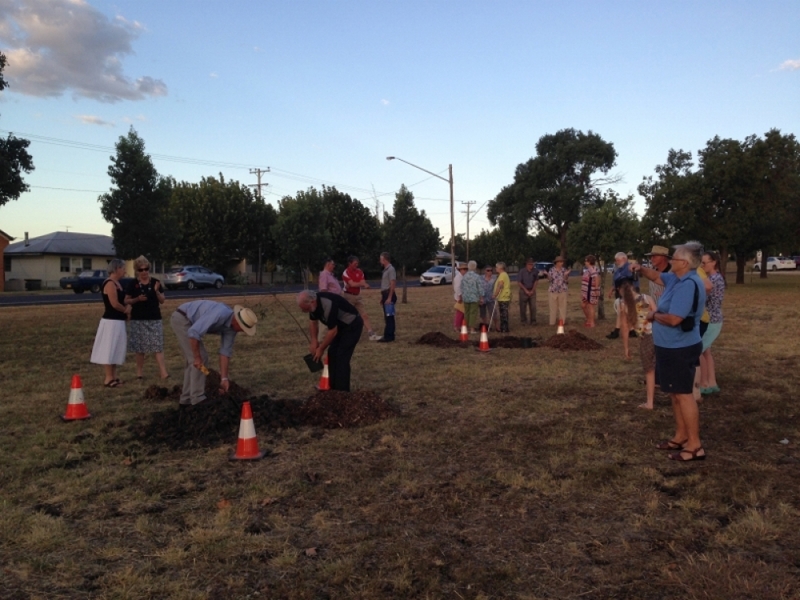 They were planted in memory of both Contingents of the Kurrajongs. Philip grew the trees and planted them with assistance from Brad, Peter and David. Afterwards we talked about the Second Kurrajongs and read the poem 'Kurrajong Boys' written by Private J A Lennard at Salisbury Plain Camp in 1916, just before the men were sent to France. Lennard, a local Kurrajong man from Nullamanna, was killed in action on 8 June 1917 during the Battle of Messines. Our act of remembrance concluded with the singing of the National Anthem.